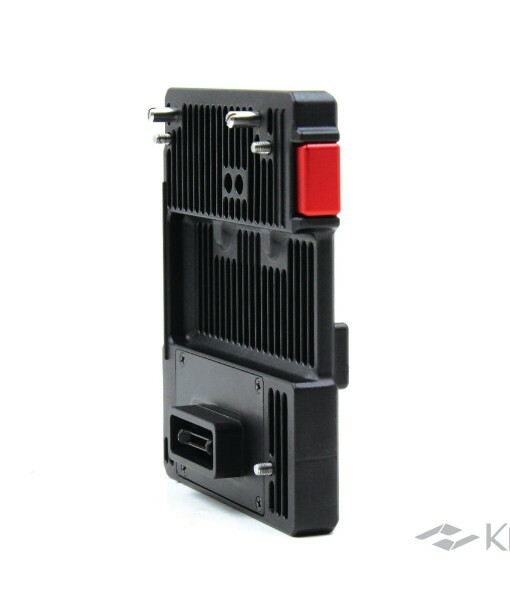 KineBACK Lite, a mini extension module for MAVO/TERRA to enable camera work with V-mount broadcasting battery easily and elegantly, without sacrificing the weight and small factor of MAVO. 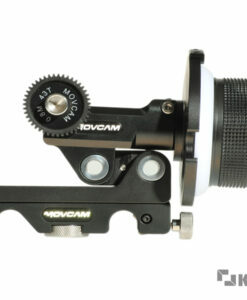 It offers an extra solution to lightweight shooting configuration. 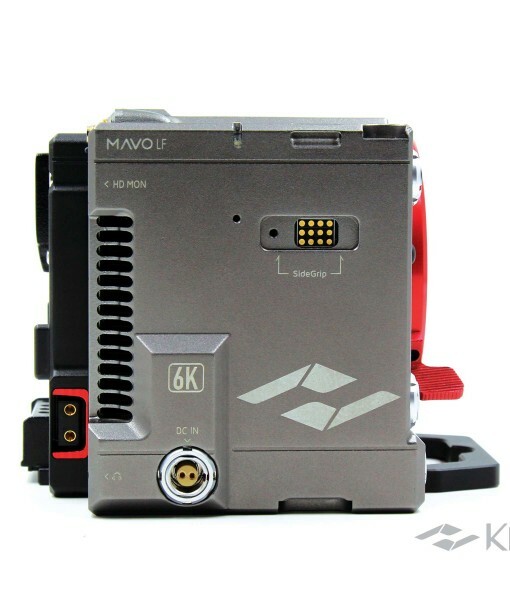 Note: KineBACK Lite only supports TERRA 4K or MAVO produced since May, 2018. 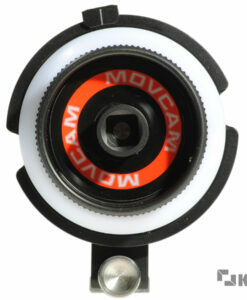 Categories: Kine Accessories, MAVO&TERRA FIT. 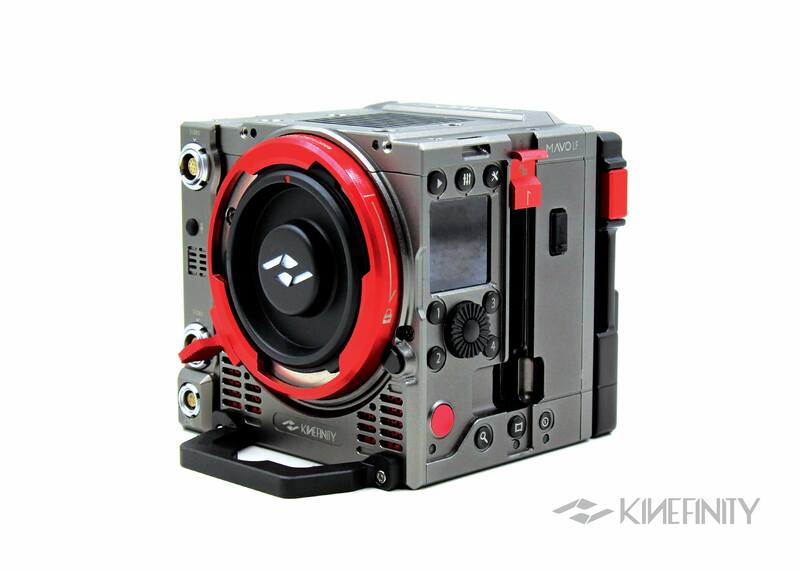 Tags: KineAudio, KineAudio, KineBACK, KineBACK, movcam, movcam, SDI, SDI, TERRA, TERRA, VR, VR, 同步, 同步, 时码, 时码. 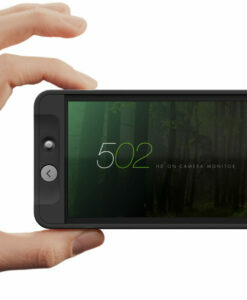 The length and width are perfectly matched with the form factor of MAVO/TERRA. 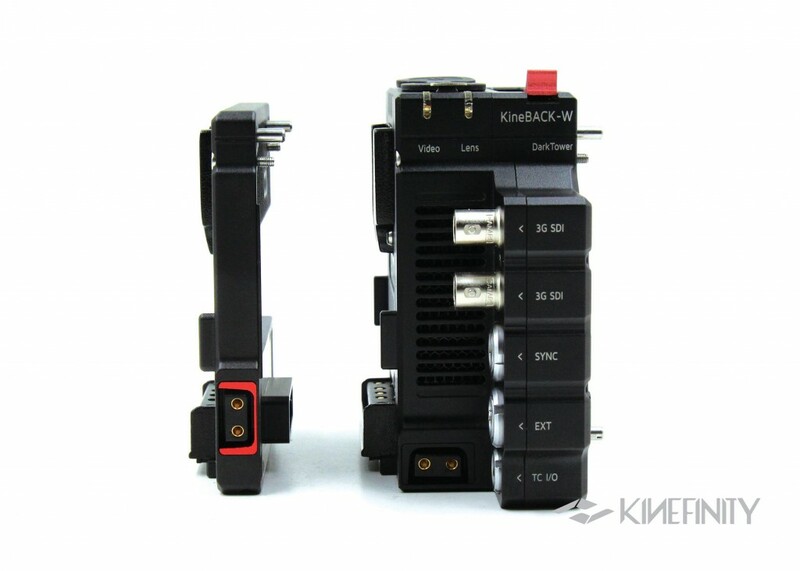 Its thickness is only 12mm, less than 1/4 of KineBACK-W. 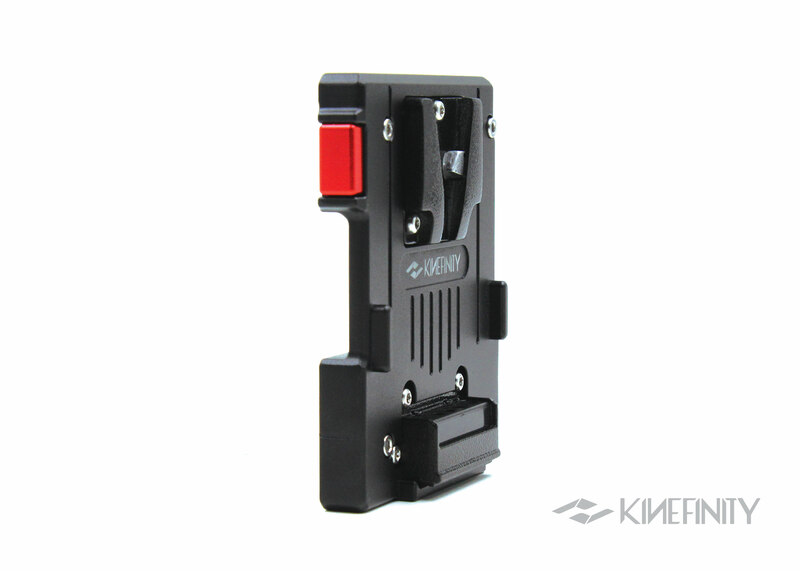 The KineBACK Lite is so light that you can barely feel its weight when attached to the rear of lightweight MAVO body. 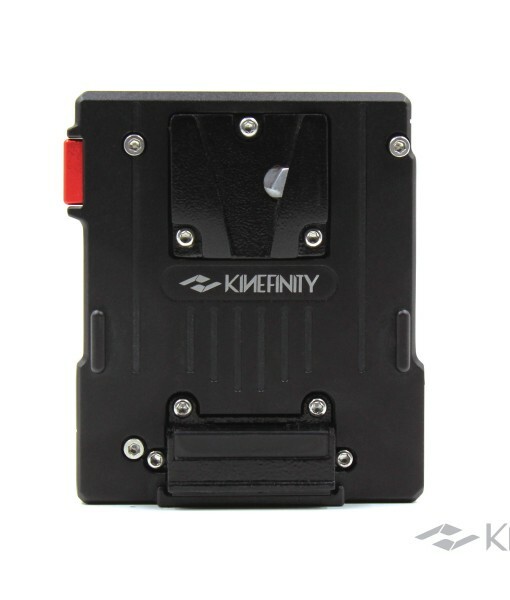 Therefore, you can choose KineBACK Lite with light V-mount battery to a nimble solution, no need to install SideGrip to increase the width of camera system. 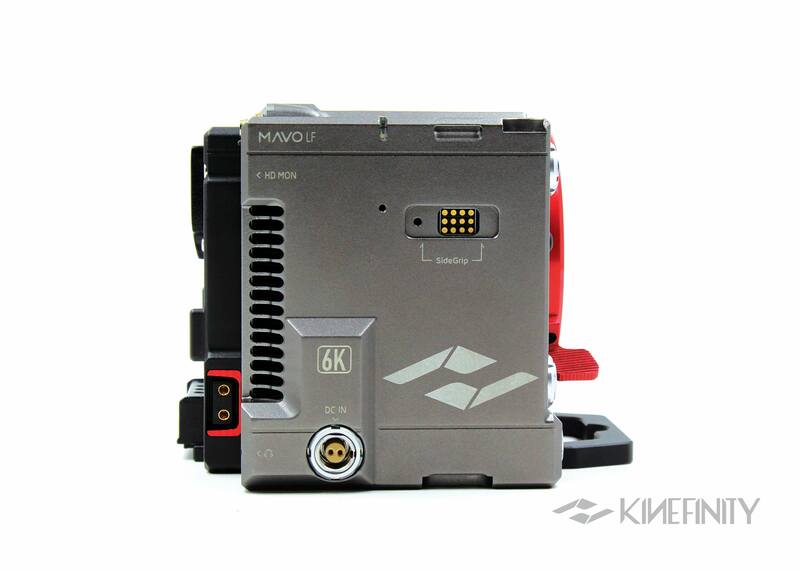 Most of lightweight single-hand 3-axial stabilizers cannot match MAVO with SideGrip(since the width exceeds its limit), however, KineBACK Lite plus light V-mount battery offers a better solution to you. 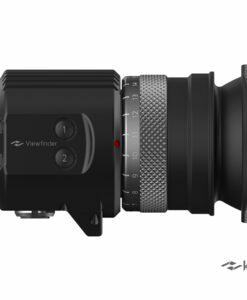 Besides, the camera body keeps lightweight with V-mount power supply, simultaneously, an extra D-tap port also provides power to lightweight wireless video or wireless follow focus, which extends the scenarios of MAVO/TERRA. 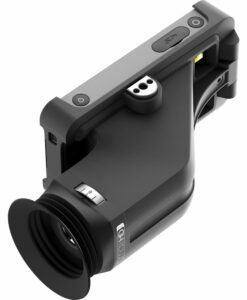 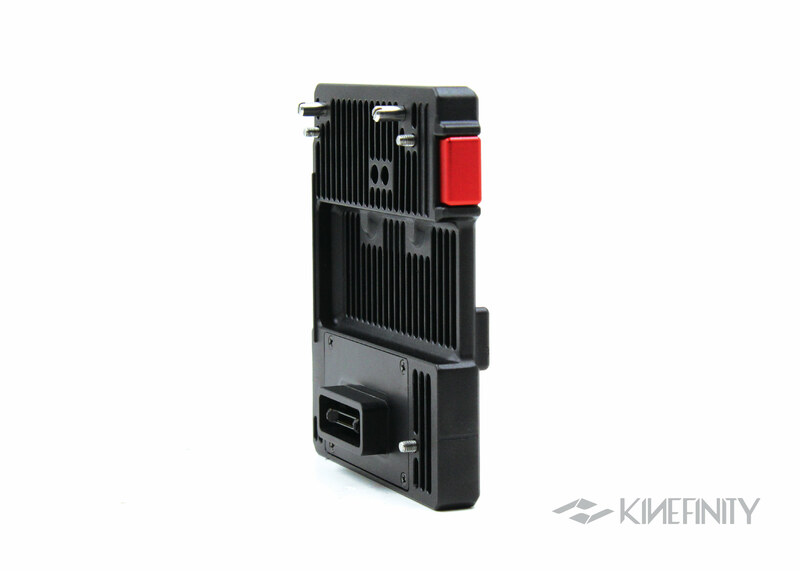 Like KineBACK-W, KineBACK Lite has native plug that matches with the robust socket at rear of MAVO/TERRA body, thus KineBACK Lite can be directly attached to the camera body without extra cable connection. 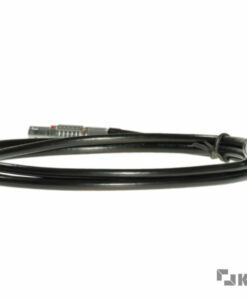 It saves times and simplifies the process of installation. 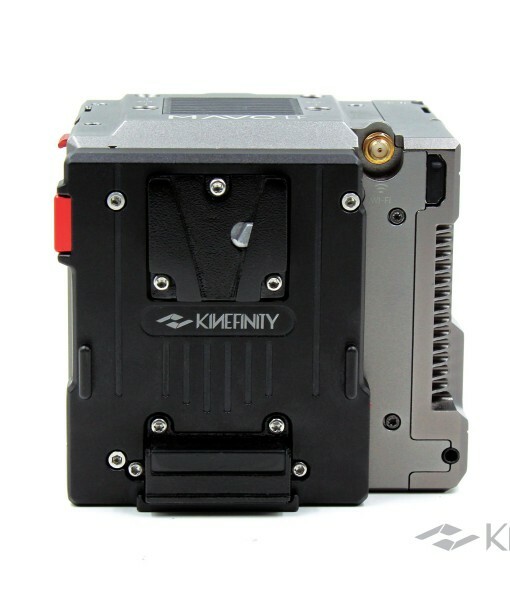 Two stainless positioning pins locate the KineBACK Lite to camera body quickly and accurately( the plug is inserted into socket on camera body naturally), and then tighten three screws with Allen wrench to complete the installation. 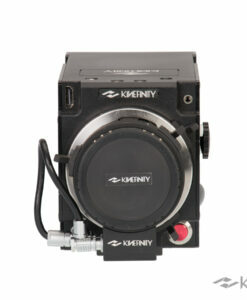 SONY V-mount battery plate is the industry standard of broadcast and filmmaking. 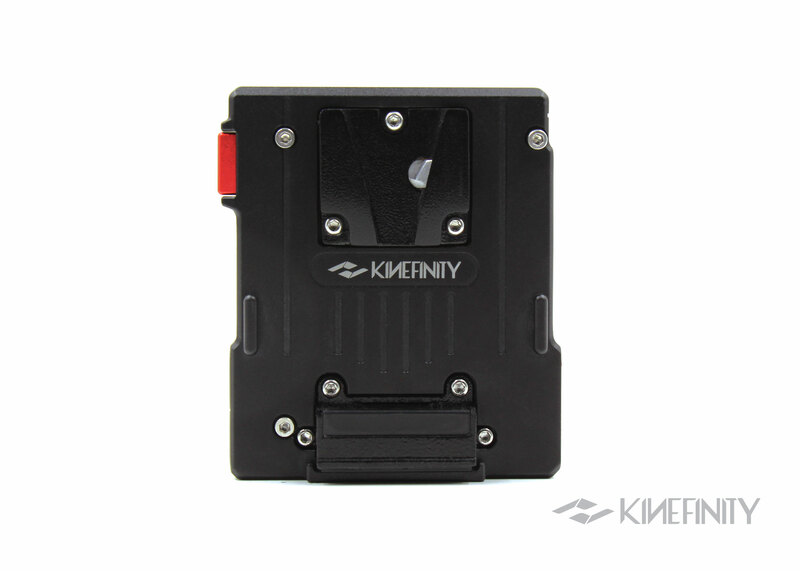 Since KineMAX, Kine cameras started to integrate V-mount battery plate. 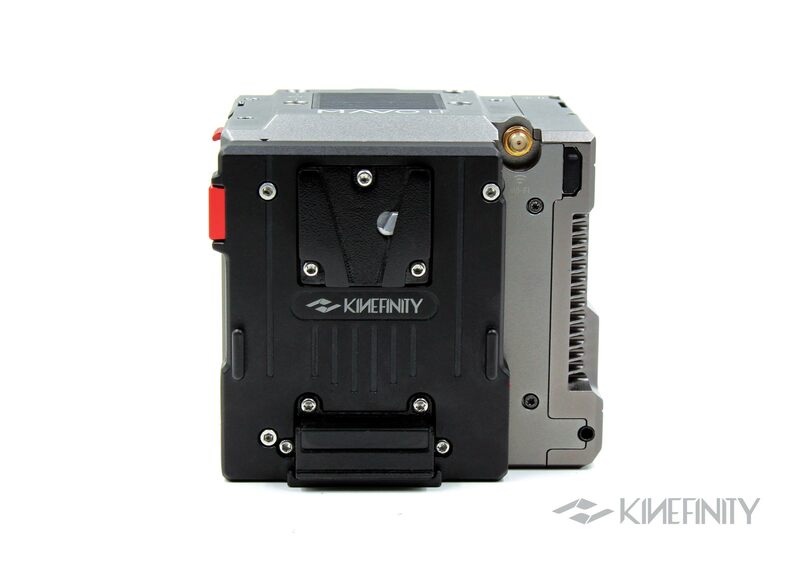 Like KineBACK-W, the battery plate is still machined by aluminum alloy, which makes it much more reliable than other ABS/plastic plates. 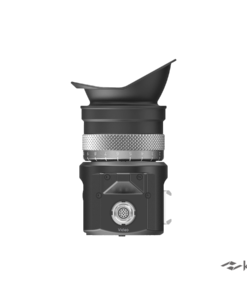 It is a great news for cinematographers shooting in harsh environment. 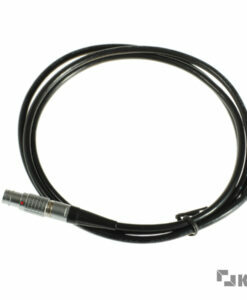 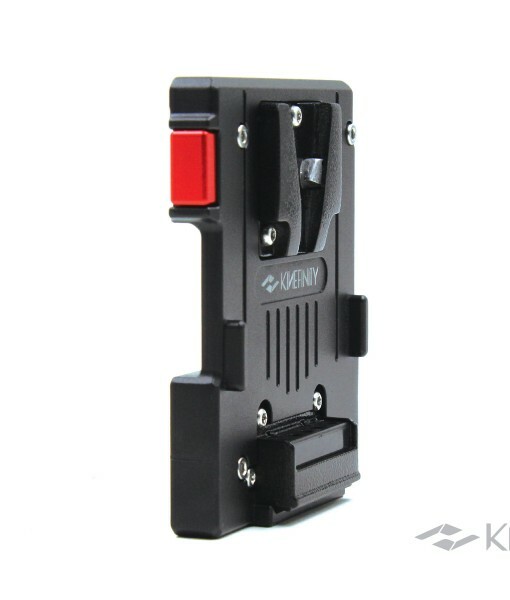 In addition, there is one standard D-Tap outputs on the right side of V-mount battery plate at KineBACK Lite. 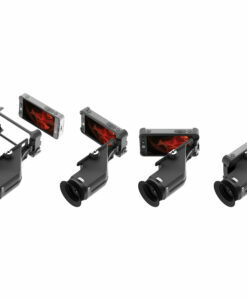 Note that D-Tap output is directly from V-mount battery, so the output voltage varies from 12V to 19V, instead of regulated 12V. 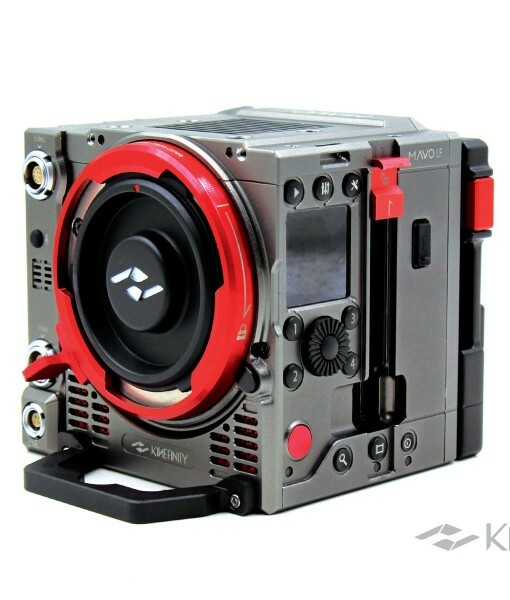 Note: KineBACK Lite and KineBACK-W only supports TERRA 4K, MAVO and MAVO LF produced since May, 2018.